Last week Agence France Presse (AFP) reported that a group of insurance companies from Britain, Australia and New Zealand has given the Nepal government a deadline of this Saturday (1 September) to take concrete steps to prevent helicopter rescue fraud, or it will stop providing cover to tourists travelling to Nepal. If it goes ahead, this would be an unprecedented move that could effectively make Nepal a no-go destination for tourists from those three countries. But how has it come to this, and what exactly is helicopter rescue fraud? Earlier this year, Traveller Assist, a UK travel risk-management company, were asked by UK insurers to discover why 2017 had been a record year for trekking insurance claims originating from Nepal. Traveller Assist examined 1,000 claims and found that 39% were suspicious. Each claim averaged $20,000. They found a strong correlation between cheap treks and extravagant insurance claims. 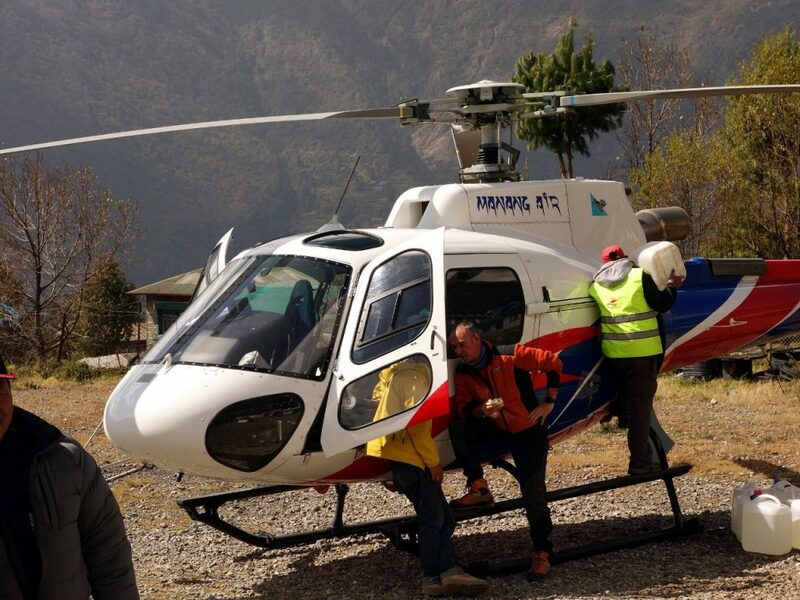 Nepalese trekking agents were selling trips at a loss, sometimes for as little as $1,000, knowing that they could make much more than this from fraudulent helicopter rescues. And it wasn’t just trekking agents. 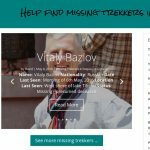 Traveller Assist discovered that tour guides, lodge owners, helicopter operators, hospitals and even tourists were in on the scam. Guides are given a commission for persuading their clients that they need to be evacuated for minor altitude symptoms, when simple measures such as taking an aspirin, resting or descending to a lower altitude would suffice. Helicopter operators charge insurance companies excessive prices for the flights. In some cases, they charged as much as $12,000 for flights that would normally cost $4,000. Private hospitals charge insurance companies for the treatment, and provide doctor’s certificates to validate the claim. Lodge owners request for supplies to be flown in during rescue flights. 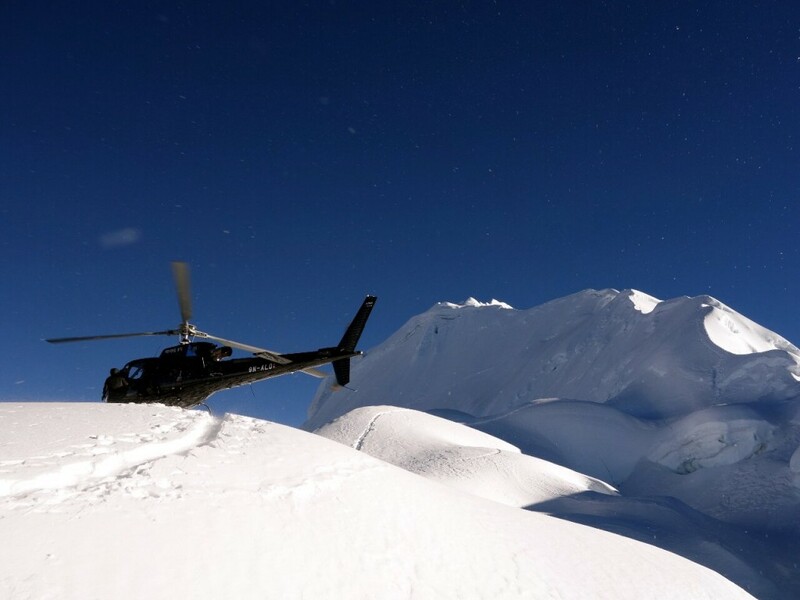 Some lodge owners act as brokers, offering the business to multiple helicopter companies and accepting the one who will pay the highest commission. Operators make multiple tourists ride back on the same helicopter, but bill each insurance company for separate flights. Tourists are sometimes offered cash to fake an illness and call for a helicopter rescue. Helicopter evacuation has become big business in Nepal. While there is no central authority who coordinate rescues, it is estimated that there are around 80 evacuations a week during the main trekking seasons. By contrast on Kilimanjaro, whose altitude of 5,895m compares with 5,643m at Kala Patthar (the high point of the Everest Base Camp trek), there is on average one helicopter evacuation per week. 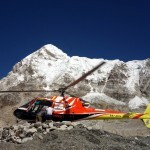 Some of Nepal’s larger trekking operators now have helicopter fleets of their own. When the fraud was first reported in June, the Government of Nepal launched an investigation. They found that there had been 1,300 helicopter rescues in the first five months of 2018, costing insurers more than $6.5 million. They also uncovered evidence of guides putting baking soda in food to give their clients diarrhoea (and – I hate to say it – resulting in more than one unnecessary evacuation). 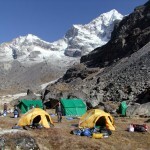 Unspecified action against 15 trekking companies. A ban on local agents of international rescue and insurance companies getting involved in the search and rescue of tourists in Nepal. A government-sponsored police unit to coordinate all helicopter rescues. The police unit will invite private helicopter companies to bid for the rescues. Army or police helicopters are to be made available if private helicopters aren’t. One of the problems with this proposal is that it transfers the responsibility for arranging rescues from trekking operators and lodge owners to government officials. But Nepal is a country where government corruption is endemic. Insurance companies can therefore have little confidence that this will stop the fraud – it will simply transfer the means to profit it by it from one group to another. Nepal’s government also has a history of making silly announcements and then doing nothing, and it’s easy to believe that this is just another one. The second of these bullet points is especially problematic, because it takes some of the checks and balances away from the insurance companies. In particular, it appears to be aimed at Global Rescue, a highly respected US provider of medical evacuation services. AFP noted in their article that Global Rescue has become ‘deeply unpopular among some of the biggest players in Nepal’s tourism industry’ for regularly reporting cases of wrongdoing to the government. AFP doesn’t say who these ‘biggest players’ are, but another article in the Himalayan Times last week offers a clue. In this article, Seven Summits Treks, one of the larger trekking and mountaineering operators (and the company who were recently involved in a row over fake climbing permits), accused Global Rescue of failing to pay them after they arranged the rescue of an Everest client of theirs who had a Global Rescue policy. Seven Summits even threatened to approach the International Court of Justice for an adjudication. But the problem with this accusation is that Global Rescue is not a regular insurance company. They specialise in providing rescue services, and state quite clearly that they will not reimburse their clients for rescues which they themselves have not arranged. So what will happen next? The insurance companies want rescues to be pre-approved by themselves and capped at $4,000 per flight. They have also asked for an inquiry into business permits. Although the government is said to have produced a 700-page report, it hasn’t yet been made public (and perhaps it never will). On past evidence, there appears to be no conceivable way that Nepal’s government can provide assurance by this Saturday that the fraud will end. But will the insurance companies follow through with their threat and withdraw insurance cover for Nepal? Or will they accept a few platitudes and resume business as usual? For the insurance companies, it’s simply a question of numbers. As long as it remains profitable to provide cover, they will do so. But if the cost of the claims becomes more than the cost of the policies, then there’s no point. We don’t know what these numbers are, so we’ll have to wait and see. But if the numbers are stacked against Nepal, then it seems probable that insurance providers in other countries will follow the UK, Australia and New Zealand. And if travellers can’t get insurance for Nepal, they will go to other countries instead. This would be a disaster for Nepal’s tourist industry. But there is a very slim chance that this threat could also have a positive outcome. There is a mountain to climb to stamp out corruption in Nepal; but we need to remember that there are many honest people working in Nepal’s tourist industry, who are desperate for corrupt practices like these to end. Could this be the first tiny step? There will no longer be a police rescue unit. Instead, anyone conducting a helicopter rescue will have to submit all receipts to a special government committee. Trekking operators will be responsible for the safety of their clients. It will no longer be possible for an intermediary to call for a rescue on a trekker’s behalf. And of course international rescue and assistance companies can still be involved in the rescue of their clients. This particular suggestion was never realistic. You can read more information on these developments in this article in the Kathmandu Post, or this press release by Traveller Assist (Word doc, 10Kb), the company responsible for the original investigation. 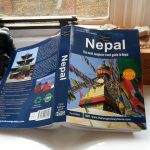 I am heading to Nepal and EBC in 4 weeks so wondered based on this article, who do you recommend we get insured with? I trekked to EBC in November with my wife and she unfortunately fell ill at Lobuche so we took her lower to Pheriche, where there’s a brilliant little clinic. I carried on back up the next day planning to meet back up with her a couple of days later and trek out together as she had what we thought was a chest infection. It turned out that she had HAPE, HACE and pneumonia so she was choppered out to Kathmandu. We were insured with the BMC and there were absolutely no problems but in Kathmandu there were several others who were struggling to get fit to fly certificates to get home as their insurance companies refused to pay hospital bills as they had requested a helicopter when they perhaps didn’t need it. My wife didn’t want a helicopter and wanted to wait for me but was told by the doctors that by the time I returned she would not be there for me if she didn’t get on the helicopter and go to Kathmandu. It did seem that there was a scam going on in some places though and we did hear an idiot from the UK encouraging someone to go out there as a fake trekker and earn money by getting choppered back to Kathmandu every few days! Unfortunately whilst poverty persists in Nepal this issue may very well linger. Great post again, definitely something that most trekkers are unaware of. This is not a place to promote your own services, even if you are making a point that may be relevant to the post. If you overtly talk about your own company or organisation and I have not mentioned you in the article, then your comment will be deleted. Ok now I am nervous about hiking the Annapurnia Circuit. My biggest fear is the altitude and I am buying insurance but it overwhelming wondering which one is the best. I don’t want to be scammed and used. Ugh. Wish me luck. I went last year and heard about this, some of the money they were talking was massive. I went Global Rescue for evacuation (plus normal insurance for hospital, baggage etc) as I like the fact they sort it and there is no payment to be claimed by you. I can see why the scammers do not like them as they arrange it all (inc price I imagine) so there is little room for ripping them off. You’ll always get someone trying to make money if they can see a way around a system. I have just been out to Mera Peak with a reputable company who got a couple of sherpas and one trekker a helicopter evac from Khare. I thought most helicopter rescues now required the person to pay up front to avoid the insurance company not paying them? I was told by BMC to have sufficient funds on credit card to pay for helicopter evac and they would evaluate my claim afterwards. When getting a helicopter out of Lukla due to bad weather we did see a lot of helicopters from certain companies on rescue missions stopping in Lukla and loading up with food before continuing. I have also been ill on EBC trek with something I picked up from India, plus food poisoning on top. I chose to walk down rather than push myself more and risk a helicopter evac. I spent a night in Lukla and 3 nights in CIWEC clinic. My insurance company wouldn’t pay out until I had got all the receipts and proof I had been there. Which I had as I was actually ill. Some insurance companies pay out without any questions asked. I think more needs to be done on all trekking companies in country and out to stop random people doing EBC. Its not an easy trek and I have seen unfit obese people calling for helicopters as they claim to be dying as they cant breathe. Pre checks need to be done and if they are found to be lying they pay for the trip and the guides should say I am sorry but you are not fit enough. On Kilimanjaro trips this is a requirement, which is maybe why there are less evacuations. Many thanks for your post. Very useful indeed. Can I just ask. 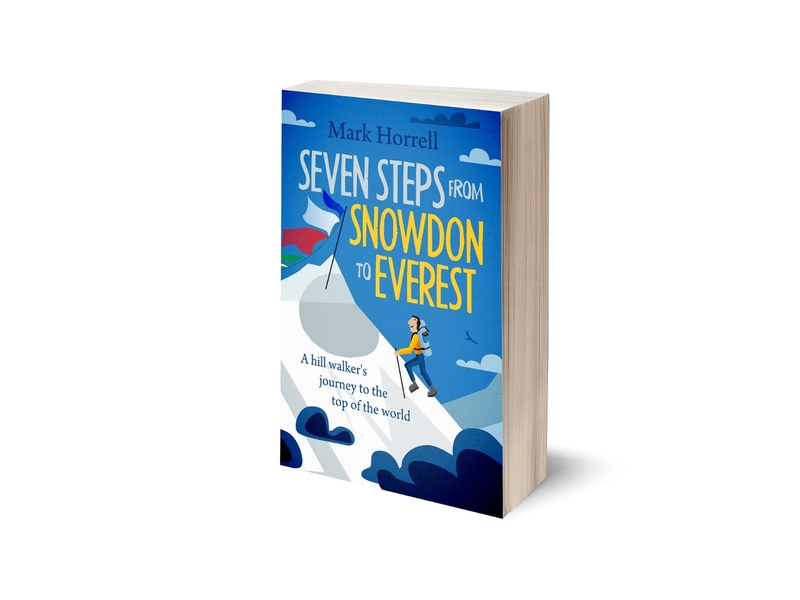 You mentioned Seven Summit Treks in the title of your article. Would you advise not to book with them for an expedition to attempt Mt Dhaulagiri this autumn? I know it is a difficult question but I would really appreciate any view or opinion that you may have on this organisation. Thank you again so much for your inspirational writing. Sorry, but I’m not the best person to advise. I have never climbed with them and nor do I have any plans to.